When I consider the great questions of origins from a broad perspective, the biblical model makes the most sense to me; it leaves fewer unanswered questions. Dr. Roth is a former director of the Geoscience Research Institute in Loma Linda, California. He holds a B.A. in biology from Pacific Union College and an M.S. in biology and a Ph.D. in biology from the University of Michigan. His research has been supported by U.S. government agencies. During his career he held numerous university positions, including professor of biology and chairman, Loma Linda University. During the latter appointment, Dr. Roth directed a university team for underwater research on coral, which was sponsored by the U.S. National Oceanic and Atmospheric Administration. He has authored over 140 articles on origins issues and for 23 years edited the journal Origins. Probably the most baffling problem which evolution faces is the question of the origin of life. How could living organisms which, even in their simplest forms, are extremely complex arise by themselves? The severity of the problem is well acknowledged by many competent scientists and need not be dwelt upon here. The presence of complexity—interdependent parts that do not function unless other parts are also present—poses another major problem for evolution. The presence of complexity—interdependent parts that do not function unless other parts are also present—poses another major problem for evolution. For instance, a muscle is useless without a nerve going to the muscle to direct its contracting activity. But both the muscle and the nerve are useless without a complicated control mechanism in the brain to direct the contracting activity of the muscle and correlate its activity with that of other muscles. Without these three essential components, we have only useless parts. In a process of gradual evolutionary changes, how does complexity evolve? Interdependent parts, which represent most of the components of living organisms, would not be expected from random, undirected changes (mutations) as is proposed for evolutionary advancement. How could these develop without the foresight of a plan for a working system? Can order arise from the turmoil of mixed-up, undirected changes? For complicated organs that involve many necessary changes, the chances are implausibly small. Without the foresight of a plan, we would expect that the random evolutionary changes would attempt all kinds of useless combinations of parts while trying to provide for a successful evolutionary advancement. Yet as we look at living organisms over the world, we do not seem to see any of these random combinations. In nature, it appears that we are dealing largely, if not exclusively, with purposeful parts. Furthermore, if evolution is a real ongoing process, why don’t we find new developing complex organs in organisms that lack them? We would expect to find developing legs, eyes, livers, and new unknown kinds of organs, providing for evolutionary advancement in organisms that lacked desirable advantages. This absence is a serious indictment against any proposed undirected evolutionary process, and favors the concept that what we see represents the work of an intelligent Creator. The simple example of a muscle, mentioned above, pales into insignificance when we consider more complicated organs such as the eye or the brain. These contain many interdependent systems composed of parts that would be useless without the presence of all the other necessary parts. In these systems, nothing works until all the necessary components are present and working. The eye has an automatic focusing system that adjusts the lens so as to permit us to clearly see close and distant objects. We do not fully understand how it works, but a part of the brain analyzes data from the eye and controls the muscles in the eye that change the shape of the lens. The system that controls the size of the pupil so as to adjust to light intensity and to reduce spherical lens aberration also illustrates interdependent parts. Then there are the 100,000,000 light-sensitive cells in the human eye that send information to the brain through some 1,000,000 nerve fibers of the optic nerve. In the brain this information is sorted into various components such as color, movement, form and depth. It is then analyzed and combined into an intelligible picture. This involves an extremely complex array of interdependent parts. But the visual process is only part of our complex brains, which contain some 100,000,000,000 nerve cells connected by some 400,000 kilometers of nerve fibres. It is estimated that there are around 100,000,000,000,000 connections between nerve cells in the human brain. That we can think straight (we hope most of us do!) is a witness to a marvellous ordered complex of interdependent parts that challenges suggestions of an origin by random evolutionary changes. How could such complicated organs develop by an unplanned process? Movements of all kinds of things in nature tend to mix things up, be they molecules, huge boulders, or polluting substances poured into the ocean. This inexorable tendency runs counter to evolution, where organisms are supposed to have become more and more organized, from disorganized components, as the complexities of organisms evolved. How did evolution from simple to complex counter the tendency towards randomness that is so prevalent in nature? For two centuries evolutionists have been searching for a mechanism that would explain the origin of complexity, but so far this has been a virtually futile search. At the beginning of the 19th century, the French naturalist Lamarck proposed that usage of an organ caused evolutionary advancement, such as a neck becoming longer due to usage. His views have been largely rejected. About half a century later, Charles Darwin in England proposed a system of natural selection. In this process very small variations between organisms would be subject to the competition between organisms. This would result in the survival of the more advanced forms, while the weaker ones would be eliminated. Over long periods of time, this process would gradually evolve the advanced forms of life on earth. While Darwin’s model of natural selection is the one usually presented in basic textbooks of biology, it has been much criticized recently for a variety of reasons. It has a fatal flaw when it comes to the question of the gradual development of biological systems with interdependent parts, and this is the case for most—if not all—biological systems. The problem is that the very system of natural selection which Darwin proposed will tend to eliminate the interdependent parts of complex systems as these systems develop. The parts do not function until all the interdependent parts are present and the system works and provides some survival value to the organism. These nonfunctioning parts will tend to be eliminated by a natural selection process that should give preference to organisms that are not encumbered with extra useless parts. For instance, in our simple example of an evolving muscle-nerve-control interdependent system: if we are at the stage where we have evolved only a muscle, that muscle would be a useless encumbrance until the nerve and control mechanism have evolved. Until that time, natural selection would tend to eliminate those organisms with nonfunctioning parts of developing interdependent systems, and thus would interfere with evolutionary progress. Half a century after Darwin proposed his views, the Dutch biologist de Vries vigorously challenged the idea that the small variations proposed by Darwin would have any significant evolutionary effect. He proposed much larger changes, called mutations. Unfortunately, his prime example, the dwarfing of the evening primrose plant around Amsterdam, turned out to be only the recombination of traits already present in the plants and not a new mutation. The same applies to the most commonly used example of evolution: the darkening of the English peppered moth. This darkening protected the moths from predators by making them less visible as the environment darkened during the Industrial Revolution. The moth has again become lighter as the environment has become lighter. These changes, which are sometimes called mutations, 3 are now acknowledged as representing only a fluctuation in different kinds of genes already present, and as such do not represent the novel changes of a real mutation. 4 However mutations, which represent more or less permanent genetic changes, were soon found in fruit flies and other organisms. But mutations are not a great breakthrough for evolution. They are almost always detrimental, and as such are more representative of a mechanism for degeneration than for advancement. One useful mutation out of a thousand is being generous to evolution. In the middle of the 20th century, leading evolutionists proposed the “modern synthesis.” Hailed as the final evolutionary model, it incorporated Darwin’s natural selection, de Vries’ mutations and studies in population genetics. At the same time, other evolutionists were calling for much larger sudden changes than those noted for mutations. We are thus faced with the fact that after two centuries of conjecture, a workable mechanism for evolution has not been found.9 While the perseverance of evolutionists is commendable, it would seem that by now it is time for science to give serious consideration to other alternatives of origins, such as creation. The fossils which represent past life on the earth should have much to say about how that life originated. Some consider the fossil record that we find in the rock layers of the earth to be the strongest evidence for evolution, because there is an increase from simple to complex, as one ascends through the rock layers. However, if these layers were laid down by the great Flood described in the Bible, one would also expect some sort of ascending complexity as the Flood gradually destroyed the biological realms of the world that existed before it. On our present earth, we have simple life in the deep rocks, more complex life in the oceans and the most complex on land. Destruction of these realms by rising flood activity would result in a general increase in complexity. 10 More important to the question of origins are two aspects of the fossil record that pose serious problems for the evolutionary scenario. One is the great scarcity of intermediate forms, the other is the lack of geologic time for the major evolutionary changes postulated. Some evolutionists have postulated that evolution proceeds by occasional rapid jumps (punctuated equilibria 13), but these small jumps do not solve the problem at all. The problem for evolution is that it is between the major groups of plants and animals (phyla and divisions) that we would expect the greatest number of intermediates, and this is precisely where these intermediates are virtually absent. Any gradual process would be expected to leave all kinds of fossils between major groups as major changes evolve. It does not appear that evolution has taken place. Evolutionists refer to this very brief period for the evolution of most animal phyla as the “Cambrian explosion.” Samuel Bowring of the Massachusetts Institute of Technology comments, “And what I like to ask my biologist friends is: How fast can evolution get before they start feeling uncomfortable?” 15 The phenomenon of the Cambrian explosion fits remarkably well with a model of the biblical Flood which postulates that this part of the fossil record represents the level of the seas before the Flood, where most of the animal phyla would be expected. Above the Cambrian explosion we have other smaller “explosions.” For instance, evolutionists propose that most mammalian orders evolved in a mere 12 million years and living orders of birds in 5­10 million years. The fossil record as interpreted by evolutionists shows that the thousands of millions of years proposed for advancement are not there. Evolution needs all the time it can get, and the improbabilities it faces indicate that geologic time is far too short to accommodate these advancements. The rapid rates of evolution that would be required to accommodate the fossil record significantly reduce that time and accentuate even more the improbability problem of evolution. One of the most significant differences between creation and evolution is the question of the length of time life has been on earth. 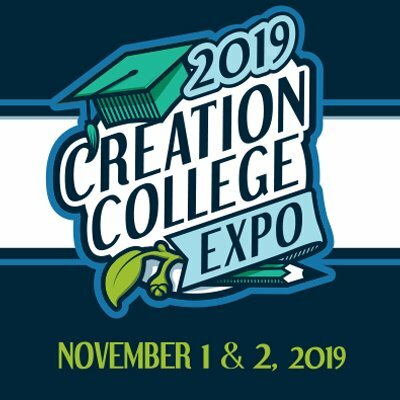 While evolution proposes that life has been evolving for thousands of millions of years, creation suggests that God created the various forms of life in six days a few thousand years ago. In the creation model the Great Flood described in the Bible provides the explanation for the fossil layers, while evolution suggests these were formed over eons of time. It is of interest that the recent trends in geological thinking favoring major rapid changes (catastrophism) provide interpretations that fit well with the biblical Flood. However, geology is not moving toward a biblical interpretation. Nevertheless, the thousands of millions of years proposed for laying down of the fossil-bearing sedimentary layers of earth raise a number of interesting questions that challenge the long geologic ages suggested by current scientific interpretations. 16 Examples follow. The Coconino Sandstone of the southwestern United States, which has many hundreds of good animal trackways, but no plants. The important dinosaur-bearing Morrison Formation of the western United States, where “identifiable plant fossils are practically non-existent.” 18 What did these behemoths eat as they evolved over the millions of years? It is estimated that a large dinosaur would eat 32 tons of vegetation in one day. A more plausible scenario for these deposits is that they represent layers laid down rapidly during the biblical Flood, with the waters of the Flood sorting the organisms into various deposits, the plants forming some of our huge coal deposits. When we look at our present earth, it appears that geologic changes are very slow. On the other hand, the creation scenario proposes very rapid changes during the biblical Flood. It turns out that even if we ignore the Flood, the relatively slow geologic processes we now observe are actually so fast that they challenge the thousands of millions of years proposed for the development of life on earth, as suggested for evolutionary processes. 19 As an example, the present rate of erosion of our continents by rain and consequent rivers into the ocean is so rapid that we would expect the continents to be eroded down to sea level in about 10 million years. Why are our continents still here if they are thousands of millions of years old? A number of geologists have alluded to this problem. 20 Even after correcting for man’s agricultural activities, which hasten erosion, the rate is so fast that our continents could have been eroded to sea level over 100 times (if they could be revived) in a conservative postulated age of 2,500 million years for the continents. Renewal of the continents from below is sometimes proposed to resolve the dilemma. This does not seem to be a solution, since the geologic column which contains very ancient layers is still well represented on the continents, and we don’t seem to have completed even one full cycle of continent erosion and uplift. The incomplete ecological systems mentioned above which are postulated to have survived for millions of years, the rapid rates of erosion of the continents that should have washed them away long ago, and the scarcity of erosion at the gaps in the sedimentary layers of the earth—all these pose questions that demand answers if one is going to adopt any models proposing many millions of years for the development of life on earth. These data favor the biblical creation account. Why not pick the best of science and the Bible? Many have tried to reconcile the great differences between science’s evolutionary model and the biblical model of creation. “Theistic evolution” is one of these intermediate models. It proposes that God used an evolutionary process over eons of time. The model preserves some kind of god, but he is not the kind of good God described in the Bible. God’s creation described in the Bible is “very good.” Furthermore, He is a God with concern for those who need help. The aberrant results, the competition, and the survival of only the fittest in the evolutionary process are very much out of character with the kind of God described in the Bible. Furthermore, the fossil record does not provide the intermediates expected from an evolutionary process. Another model is “progressive creation,” where God occasionally creates more and more advanced forms of life over eons of time. Here God is preserved as the Creator of all, but the model does not fit well with either the kind of God described in the Bible or the biblical creation account. The many thousands of fossil kinds that we find that are not now living imply numerous creation errors in the past. The presence of evil, in the form of predatory animals, earlier in the fossil record, long before the creation of man, negates the biblical account of God as a good Creator and the concept that evil in nature is the result of the Fall of man. Furthermore, there is no suggestion in the Bible that God created over long periods of time. There is only one model of creation in the Bible: God does it all in six days. Models such as progressive creation or theistic evolution suffer from lack of authentication. One can speculate that this or that happened in the past, but one would like some support from a respected source of information, such as the Bible or the data of nature, that this is actually the case. Neither nature nor the Bible indicate that these intermediate views between creation and evolution are the way God did it. One can find peripheral information to support many models, but one would like some more direct authentication before accepting speculative suggestions. One should not give up a more authenticated model for a more speculative one. 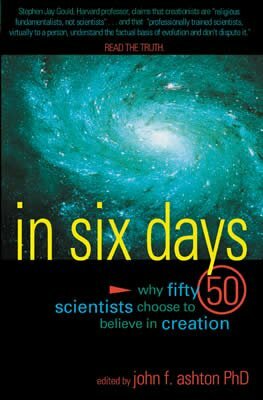 Why believe in a six-day creation? We have the biblical concept of a six-day creation, we have the concept of evolution over thousands of millions of years, and we have a number of views intermediate between the two. Which is true? Science is the best system devised by man to give us information about nature. However, the conclusions of science are not final. Science repeatedly revises and even reverses its conclusions. Science is more reliable in the experimental realm than when dealing with the past, especially when that past cannot be experimentally repeated. When it comes to answering the great questions of origins, meaning and destiny, science has lost its credentials. This happened over a century ago when science decided to exclude God from its explanatory menu. If God exists, science will never find Him as long as it refuses to consider God as a part of reality. While a significant number of scientists believe in some kind of god, and their numbers are growing, we don’t yet see God being incorporated as a reality into scientific research papers and textbooks. Science is still adhering to a narrow mechanistic approach to reality. I believe science would not be facing some of the insurmountable questions about the origin of life mentioned earlier if it did not take such a narrow approach. Science would do well to return more towards the broader, open attitude it had several centuries ago, when the foundations of modern science were laid down, and noted scientists such as Kepler, Boyle, Newton, Pascal and Linn believed in God as the Creator who established the laws of science. The Bible, on the other hand, takes a more open approach, inviting us to consider nature as well as God (for example, see Ps. 19:1–4 and Romans 1:19–20 ). As such, it has a broader base for addressing the questions of origins. The Bible is much more in demand by far than any other book. Current distribution is more than 17 times that of any secular book. It has a high degree of respect. This respect is based in part on the integrity and candor of its writers, as well as on the archeological, geographic, historical and prophetic authentication that it holds. Its internal consistency challenges any suggestion that it is a collection of invented stories. This is not a book that we can easily dismiss. When I consider the great questions of origins from a broad perspective, the biblical model makes the most sense to me; it leaves fewer unanswered questions. A.A. Roth, Do We Need to Turn Off Our Brains, When We Enter a Church? Origins 23:63–65, 1996. For a detailed discussion of these various points see A.A. Roth, Origins: Linking Science and Scripture, Review and Herald Pub. Assoc., Hagerstown, MA, 1998. For example: Carl Sagan, The Dragons of Eden: Speculations on the Evolution of Human Intelligence, Ballantine Books, New York, p. 28, 1997. For example: T.H. Jukes, Responses of Critics, in P.E. Johnson, Evolution as Dogma: the Establishment of Naturalism, Haughton Publishing Co., Dallas, TX, pp. 26–28, 1990. Richard Benedict Goldschmidt, The Material Basis of Evolution, Yale University Press, New Haven, CT, 1940. C. Patterson, Evolution, British Museum, London and Cornel University Press, Ithaca, NY, p. 143, 1978. Soren Lovtrup, Darwinism: The Refutation of a Myth, Croom Helm, New York, p. 352, 1987. For a listing of 9 books by noncreationists that challenge evolution or Darwinism, see p. 140–141 in Roth, Origins: Linking Science and Scripture. For the details see chapters 5 and 8 in Roth, Origins: Linking Science and Scripture. This is discussed further in Roth, Origins: Linking Science and Scripture, chapter 10. Charles Darwin, The Origin of Species by Means of Natural Selection, or the Preservation of Favoured Races in the Struggle for Life, John Murray, London, 1859; in the reprinted edition: J.W. Burrow, editor, Penguin Books, London and NY, p. 292, 1968. D.B. Kitts, Paleontology and Evolutionary Theory, Evolution 28:458–472, 1974. N. Eldredge and S.J. Gould, Punctuated Equilibria: An Alternative to Phyletic Gradualism, in T.J.M. Schopf, editor, Models of Paleobiology, Freeman, Cooper, and Co., San Francisco, CA, p. 82–115, 1972. S.A. Bowring, J.P. Groetzinger, C.E. Isachsen, A.H. Knoll, S.M. Pelechaty, P. Kolosov, Calibrating Rates of Early Cambrian Evolution, Science 261: 1293–1298, 1993. As quoted in M. Nash, When Life Exploded, Time 146(23):66–74, 1995. For further discussion and examples, see chapters 13 and 15 in Roth, Origins: Linking Science and Scripture. D.E. Fatovsky, D. Badamgarav, H. Ishimoto, M. Watabe, D.B. Weishampel, The Paleoenvironments of Tugrikin­Shireh (Gobi Desert, Mongolia) and Aspects of the Taphonomy and Paleoecology of Protoceratops (Dinosauria: Ornithischia), Palaios 12:59–70, 1977. T.E. White, The Dinosaur Quarry, in E.F. Sabatka, editor, Guidebook to the Geology and Mineral Resources of the Uinta Basin, Intermountain Association of Geologists, Salt Lake City, UT, p. 21–28, 1964. For some examples see chapter 15 in Roth, Origins: Linking Science and Scripture. Robert H. Dott Jr. and Roger L. Batten, Evolution of the Earth, 4th edition, McGraw-Hill Book Co., New York, NY, p. 155, 1988; Robert M. Garrels and Fred T. Mackenzie, Evolution of Sedimentary Rocks, W.W. Norton & Co., New York, p. 114, 1971; J. Gilluly Geologic Contrasts Between Continents and Ocean Basins, in A. Poldervaart, editor, Crust of the Earth, Geological Society of America, Special Paper, 62:7–18, 1955. For a more extensive discussion, see A.A. Roth, Those Gaps in the Sedimentary Layers, Origins 15:75–92, 1988. See chapter 21 in Roth “Do We Need to Turn Off …” for a discussion of a variety of these models.